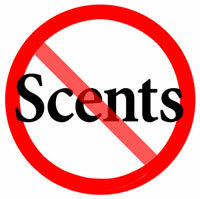 We would like to remind parents and students that Our Lady of the Lake is a nut and fragrance/scent safe environment. We need to protect students and staff who could suffer severe adverse reactions when exposed to even the smallest amount of allergens. As an allergen safe school, we take every reasonable effort and precaution to minimize the risk of exposure to potentially life threatening allergens, such as nuts and fragrances. Our efforts are not a guarantee, which is the reason that we are asking that the community continue to support us in our efforts to maintain a healthy and safe environment for everyone by refraining from wearing fragrances/or scents when at the school, bringing nuts or food with nuts to the school and/or sharing food.